Musica Viva kicked off its 47th season last night in BU’s Tsai Center with “Steven Stucky & European Friends,” where duets and sextets were the order of the night and the East Coast première of Stucky’s Cantus was the impetus. The opener, Brett Dean’s three-movement Sextet (Old Kings in Exile) from 2010, takes its subtitle from Arno Geiger’s memoir about his aging father, and might reflect the composer’s observations on his own parents’ aging since they are its dedicatees. “Prelude” commences as a study in oscillation, then the clarinet joins with a theme reminiscent of 30s film scores; sounds of chilling fear (metal striker across cymbal), and ominous, low rumblings from the percussion extend the metaphor. “Double Trio” has competing, flurrious, themes: one on vibraphone, flute, and clarinet; another on violin and cello. This A-section calls to mind a grasping after skittering memory, before calming into a B-section centered on a fluttering theme that grows introspective. This trio plays with the aurally prominent and the barely audible, and also the boundaries between music and sound. Some of the percussion licks put me in mind of barnyard noises, with the clop of horses hooves performed on wooden blocks, whinnying on the clarinet. “Postlude” is a minor-keyed oscillation slowing, shying away from an A-theme always on the verge of forming. Frenetic, telegraphic, movement dissipates back into an exploration of isolated sounds, ending with a strong downbeat. The whole has a nice thematic unity even as it explores disparate musical ideas. Next, a duet for cello and piano: Witold Lutosławski’s “Grave” (1981), performed by Jan Müller-Szeraws and Geoffrey Burleson. Subtitled “Metamorphoses,” it commemorates Stefan Jarocinski, a Polish musicologist who was working on a book about Debussy at the time of his death. Lutosławski opens “Grave” with the same four notes as Debussy’s Pelléas et Mélisande, and this work is equally atmospheric. Unlike Baroque expressions of a Grave or even a Passacaglia (to which Burleson compared it), this is music of grief which also expresses unbridled anguish, casting off the veneer of civilized forms of emotional expression. The pair delivered a hauntingly impassioned reading. The six-person ensemble returned with Steven Stucky’s Cantus (2015), the East Coast Première of a work co-commissioned by Boston Musica Viva along with the Seattle Chamber Music Society. Stucky composed in the lineage of Schoenberg’s Pierrot lunaire (1912) and Stravinsky’s L’Histoire du soldat (1918), combining three families of instrument. For Stucky this means three pairs of strings, winds, and percussion (counting the piano as a percussive instrument because of the struck nature of the action). This 15-minute work was conceived as a piece of uninterrupted instrumental singing. I thought more of a song in a landscape, as small gestures coalesce into a larger picture, zooming from background to fore. The work expands slowly in its time horizon, undulating across registers and ending with a shiny exuberance. Exploring the expressive and affective power of song, the work is filled with astute orchestration and an interesting palette of tonal colors. At times the melody sounds familiar, others not—tradition and innovation combine forces. Following intermission, soprano Sarah Pelletier joined the instrumentalists for Four Poems of Rainer Maria Rilke (2006). In this interesting assemblage, the texts are drawn from Rilke’s Uncollected Poems (the program refers us to the 1996 North Point Press bilingual edition with translations by Edward Snow), and each song is set by a different, Boston-area composer. Although conceived as more of a composition project, it works as a single suite, and that is how Boston Musica Viva presented it. Martin Brody’s setting of “Muzot: October, 1924” builds on a text of farewell to create music of regret that is deliciously atmospheric. Shirish Korde’s “Mondnacht” recalls a stormy night with vocal calm above agitated instrumental lines, pulling the first stanza into a more frenzied direction than the words. A gorgeously rich cello solo bridges the two stanzas and sets up the “Stille” which opens the second half of the song. Peter Child’s “Sag weißt du Liebesnächte” is a romantic poem (or as close as Rilke ever gets) with similarly romantic writing—lush harmonies and melodies vie with spiky percussion adding irruptions of texture emphasizing the ignorance of corporeal romance expressed in the text’s questions. Joseph Schwanter’s “Bestürz mich, Musik” is in its way as much an assault as Rilke’s poem: frantic sounds recall the soundtrack to Lang’s “Metropolis” or some of Halsey Stevens’ writing to capture modern age streetscapes in music. Pelletier gave a rich and suggestive reading of this song cycle. The official program ended with Magnus Lindberg’s Steamboat Bill Junior (1990) for clarinet (William Kirkley) and cello (Müller-Szeraws). Taking its title from the famous Buster Keaton film, this music is also inspired by musical reductions. Lindberg writes that this music was composed on behalf of his friends Anssi Karttunen and Kari Kriikku and is motivated by the former once playing the composer “a fantastic recording of an arrangement of Pulcinella by Stravinsky for violin and cello. The presence of the orchestra despite the rather limited means, like the top of an iceberg, created a strange and wonderful tension.” Similarly each of the two instruments creates its own sound world, and the pair played commendably tight ensemble-work. The music is fluid, the shifts and changes in style and character not unlike the shifting fractals as a kaleidoscope turns. Lindberg offers an exploration of coherence and cadence in this exploration of musical form even as he avowedly canvasses musical styles. The evening ended with a second hearing of Stucky’s Cantus. As one expects from Boston Musica Viva, the musicians played with admirable dexterity and cohesion, clearly attuned to one another in performance. The challenges of the music (both extended technique and the new forms of expression) were handily dispatched. 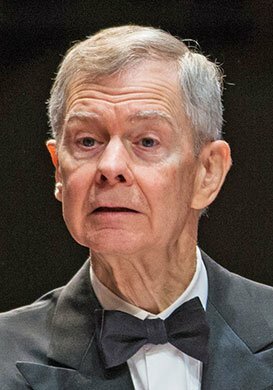 Richard Pittman led with his accustomed, limpid grace. We can all be grateful for this ensemble and its strong commitment to living composers.